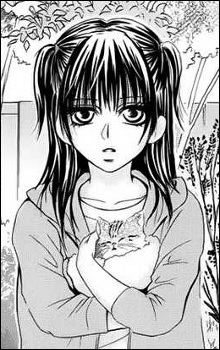 A 10-year-old girl who asks Shunichi for permission to take care of a stray cat in his garden. Eventually, they develop an awkward friendship, and she develops romantic feelings for him. She's an aloof and introverted girl whose parents are barely home: her father travels a lot and her mother is sick in the hospital.